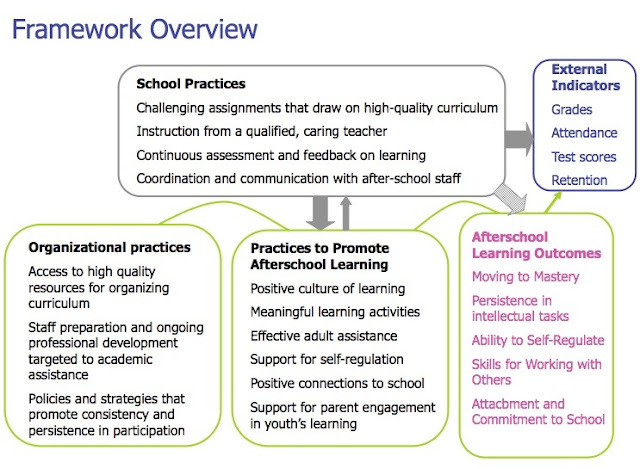 The framework looked at learning that affected outcomes measured by schools (grades, test scores, attendance, and behavior), the inputs that afterschool learning can contribute are listed below as Afterschool Learning Outcomes and Afterschool Practices to Promote Afterschool Learning. I believe these are still relevant to afterschool quality practice. Importance and Links to External Indicators: Students who adopt mastery goals for learning approach learning tasks as potentially challenging and as requiring effort to complete. Students who are more concerned with performance-avoidance, that is, preventing others from seeing them fail, tend to give up more easily on difficult tasks, especially if they are low-achieving (Ames & Archer, 1988). Students with mastery goals tend to persist more in the face of difficulty on challenging intellectual tasks (Ames & Archer, 1988). Role of Afterschool Programs: Afterschool programs have been successful in promoting mastery goals and in providing youth with opportunities to persist on authentic, challenging tasks (McLaughlin, Irby, & Langman, 1994). Importance and Links to External Indicators: Self-regulation is the process by which students plan for, organize, and monitor their own learning. Higher levels of self-regulation are associated with higher achievement levels in school (Butler & Winne, 1995). Role of Afterschool Programs: Afterschool programs can improve student self-regulation, particularly students’ skills in planning and organizing activities and in reflecting on significant experiences associated with participation (Nichols & Steffy, 1999; Youniss & Yates, 1997). Importance and Links to External Indicators: Collaborative skills are increasingly important for both schools and the workplace. Cooperative and collaborative learning experiences are positively associated with student achievement (Slavin, 1990; Johnson, Johnson, & Stanne, 2000). 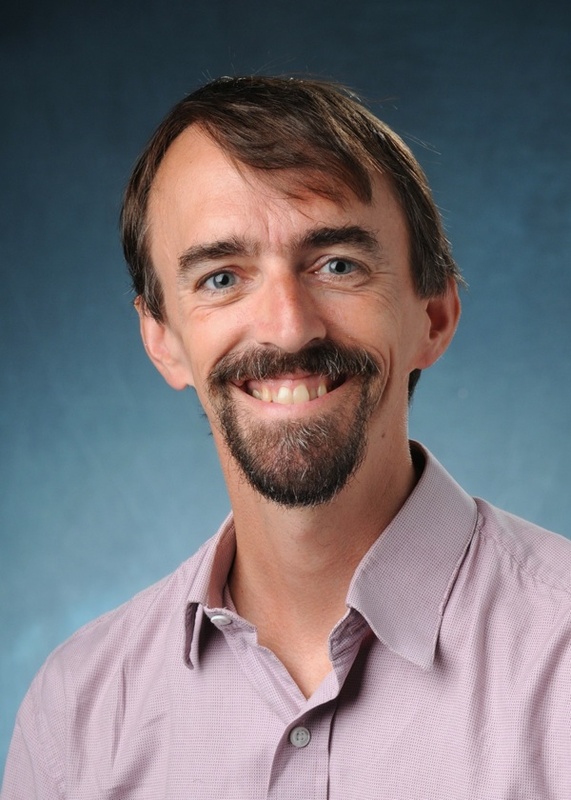 Role of Afterschool Programs: Afterschool programs can improve students’ social skills and can also reduce anti-social behaviors (Catalano et al., 1999; Mahoney et al., 2003; Weisman et al., in press). Importance and Links to External Indicators: Bonding to school has been cited as an important protective factor in supporting youth development (Cheney et al., 1997). Students vary in their level of identification with school and with doing well in school, a factor that has been used to explain the failure of some groups to do well in school (Ogbu, 1987). Role of Afterschool Programs: Afterschool programs can help students feel more connected to school (Catalano et al., 1999; Roth & Brooks-Gunn, 1999). Sam: Thanks for bringing this back up. In addition to newer references, I wonder how we might update this to emphasize strategies for promoting equity and leveraging student diversity?